THE ECLIPSE MARCH BY DEREK HALL. 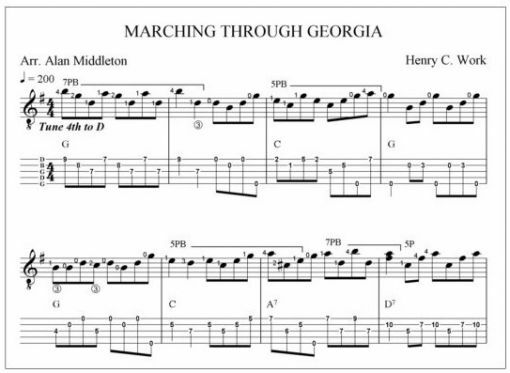 MARCHING THROUGH GEORGIA BY HENRY C. WORK. BLUEGRASS STYLE. 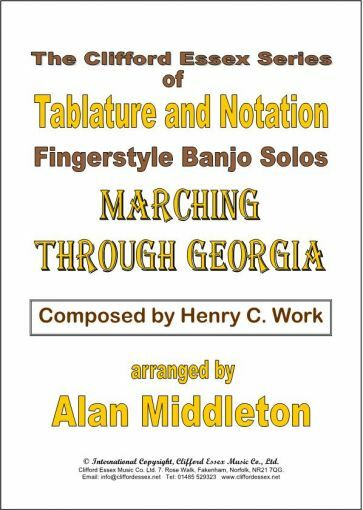 Location: /Sheet music/Fingerstyle Banjo/MARCHING THROUGH GEORGIA BY HENRY C. WORK. BLUEGRASS STYLE. A simple, easy to play, bluegrass style version of this old favourite. Clifford Essex Banjo Strings - Worth Getting Your Fingers On. THE LEPRECHAUN BY JOE MORLEY. OLD VIRGINIA RAG by Clyde Douglass. ARR DAVID MILES M.B.E.